THE relationship between the employer and employee is fiduciary in character, which calls for complete trust and confidence between the parties. Dishonest acts to defraud the employer, such as tendering false academic certificates to support job application or promotion, falsifying work documents including work records, time cards, medical certificates (MCs) to support sick leave claim, being untruthful on reasons for leaving previous jobs, and withholding information on past criminal conviction — all these are workplace misconduct. Falsifying or faking certificates to support a job application is a criminal offence. One dishonest or deceptive act of conduct of an employee may warrant dismissal if it’s a serious enough matter. Making false entries in the official records or certifying receipts of goods which were never received are examples of serious acts of dishonesty that would entail dismissal. This is because dishonesty inevitably reflects on the fitness of the employee to continue in office. Dishonesty of a less serious nature such as submitting a falsified MC to support a sick leave application, unless it is a repeated offence, may not warrant a dismissal penalty from service but would be punishable by a warning or suspension from service for a certain period. An employee who tenders a false certificate to secure a job is taking a serious risk of immediate dismissal once the fraudulent deceit is uncovered, even after months or even years of employment. Likewise, a misrepresentation on the qualification and skills is sufficient to warrant dismissal, even if this was uncovered after lapse of several years. 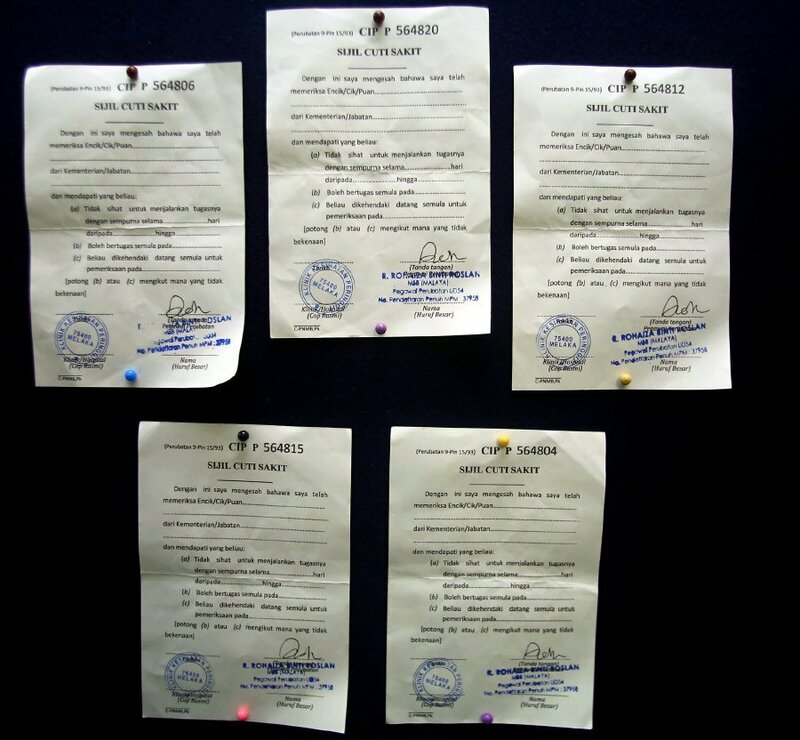 For example, in A v Indah Water Konsortium Sdn Bhd , after some 12 years into his employment, the employee had applied for the position of technician in the company and in support of his application, he submitted a certificate purportedly issued by Advanced Management and Technology Centre. Upon verification with the institution, the company discovered that the centre did not conduct such a course and the employee was not registered as a student with it. Following this finding, the employee was dismissed from service. His dismissal was affirmed by the Industrial Court as the company had proved that the misconduct perpetrated by employee was serious. Again, tendering forged MCs to support the sick leave application is a serious misconduct. In A v Malaysia Airline System Bhd (MAS, 2013), the employee was dismissed from his job after the domestic inquiry panel found him guilty of tendering the forged MC purportedly issued by Hospital Putrajaya. During the trial, the employee admitted that he bought the said MC. The Industrial Court found that the company had a valid reason for terminating the employee due to his dishonest and fraudulent conduct. Even obtaining sick leave through a false representation on false pretences of being ill and then using the leave to do other errands is a workplace misconduct. In short, an employee is expected to act with complete honesty and integrity, no matter what position he holds in an organisation.